Lokomotiv Kuban got the job done in Kazakhstan, getting the 93-83 win behind 30 points by Dorell Wright and 23 by Mateusz Ponitka. The result was more than crucial as Loko took a big step toward clinching home-court advantage in the first round of the playoffs. The guests got a 49-42 halftime lead, Astana made a four point game (70-66) in the third quarter, but couldn’t get much closer. 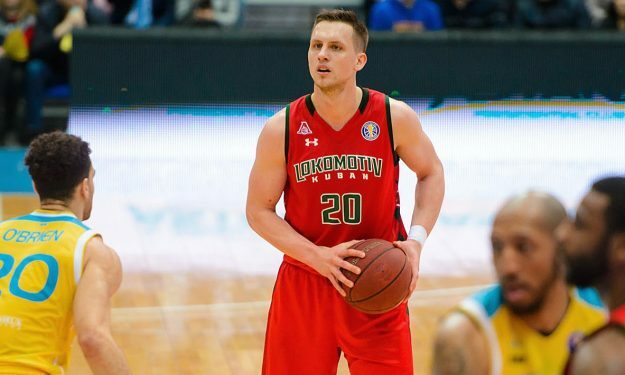 Lokomotiv Kuban now has a 16-7 record and the fourth spot in the standings, followed by Zenit St. Petersburg (14-9) and Astanta (14-10). CSKA Moscow (22-4), Unics Kazan (19-4) and Khimki (18-5) are sitting on the top of the standing.